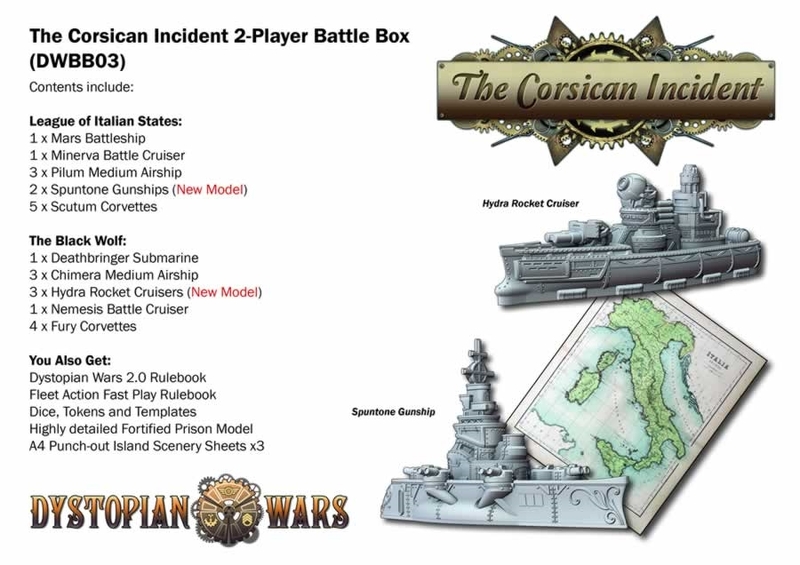 Warcradle Studios has taken over production for the Dystopian Wars line. If you're a fan of the game, or perhaps looking to see what the new company will be doing with the game, they've got a special offer you can sign up for. 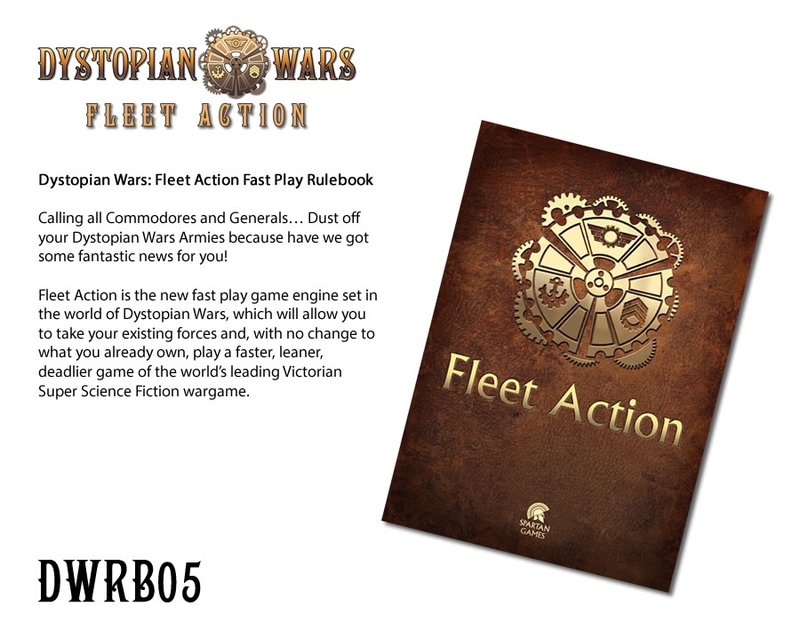 Just put your name on the list and you'll get a free version of the Dystopian Wars 3rd Edition rulebook. Pretty simple, really. 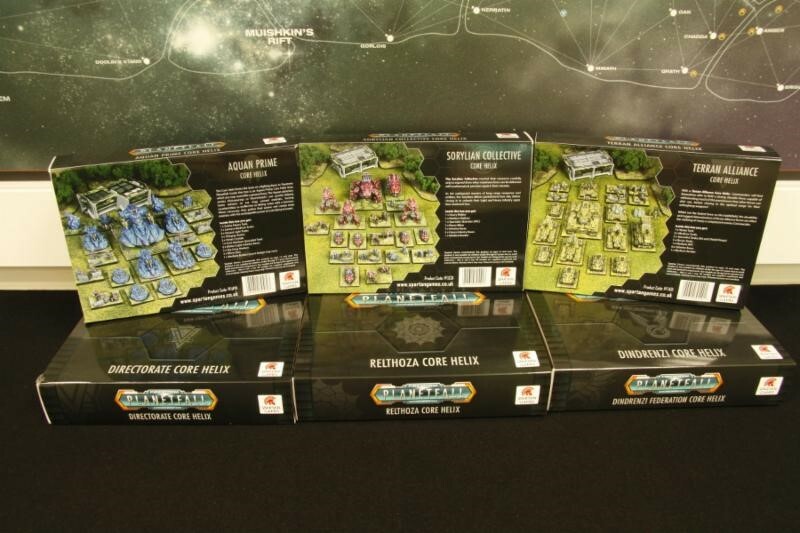 Spartan Games likes to give you all a good lead-time on getting your orders in for their new releases and conveniently places them all in one place in their webshop. 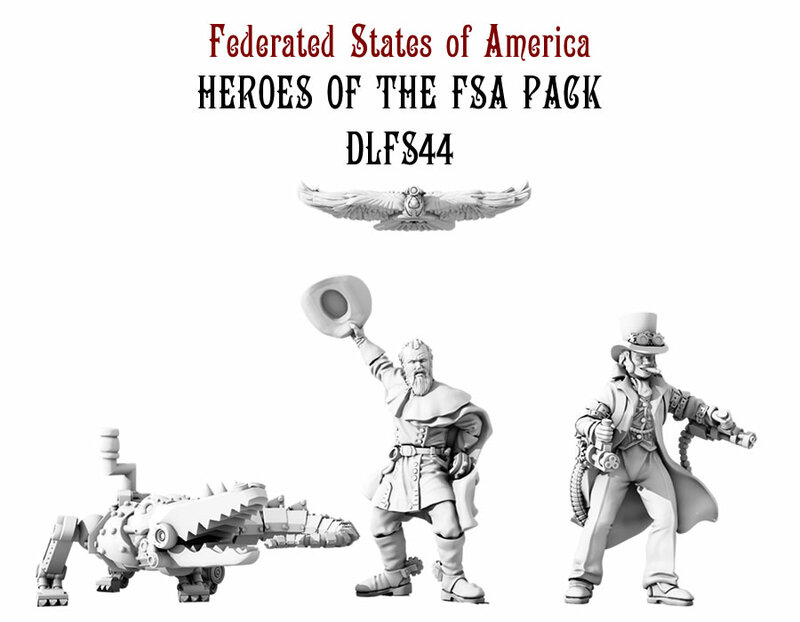 Well, they've got a new page set up for the sets that will be shipping out April 27th. Lots of space going on this time around, but some ground-based action at the end. Or in the case of Spartan Games, "2016 for busts!" 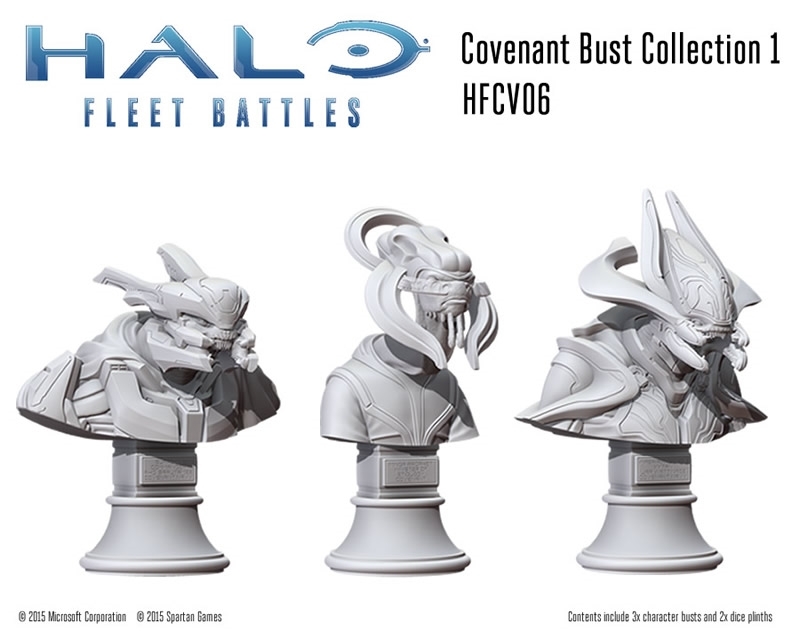 They've started taking pre-orders for the new models they'll have available on January 27th of next year, and included in the group are a new set of busts for the Halo Fleet Battles game. There's more than that, of course. To see exactly what, read on. It's Thanksgiving week (for us here in the US). And while where you're at they might not celebrate Thanksgiving, or might not celebrate it at the same time (I'm looking at you, Canadians), the whole world pays attention to it, as it means the start of the Christmas Shopping Season, kicking off with Black Friday. Well, it's not Black Friday yet, but that doesn't mean the deals haven't already started. Such as these from Spartan Games. As usual, just about a month before they're available, Spartan Games has started taking pre-orders for their next sets of releases. Considering what they have on deck, one could say they're really making a "token effort" with this new batch. ... I guess you only get that joke when you see what they're actually taking orders for. I guess I should probably show you that. The weekend is coming. Be prepaaaaaaaaaaared! Spartan Games is certainly prepared... prepared to get you some big, big savings on some of their games! They've got a bunch of bundles over on their website that are up to 50% off the MSRP. While much of the excitement around Spartan Games lately has been all about Halo, they have other games that should also be paid attention to. You can see that in the latest set of pre-orders that they're taking on their site. 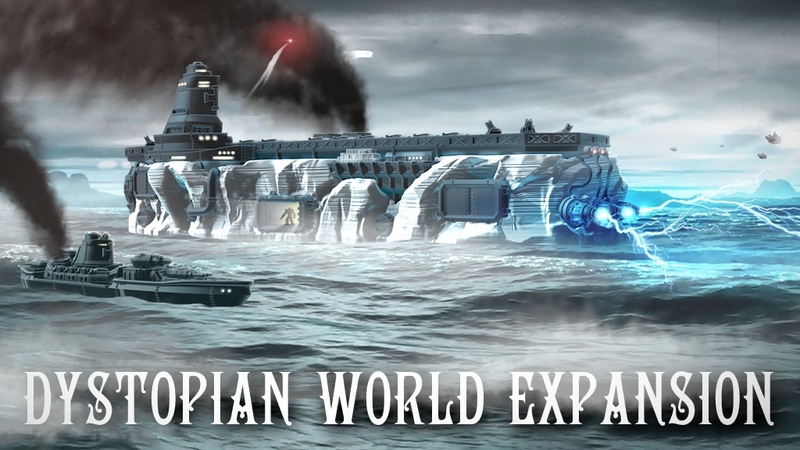 Have you been thinking of getting into Dystopian Wars or Firestorm Armada from Spartan Games? Or perhaps you've got one or the other game (or potentially both) and had been thinking about bulking up your force? This might be a weekend to look into doing just that. You've hopefully seen some of the photos I posted from the Spartan Games display yesterday. If not, go check them out. If you have, what'd you think? Halo has made it to the tabletops with The Fall of Reach starter. Now, Spartan has started taking pre-orders for some more Halo goodies, as well as some releases for a few of their other games. So... all that stuff in the other post about surveys. Well, it would seem Spartan thought it was a good idea as well. 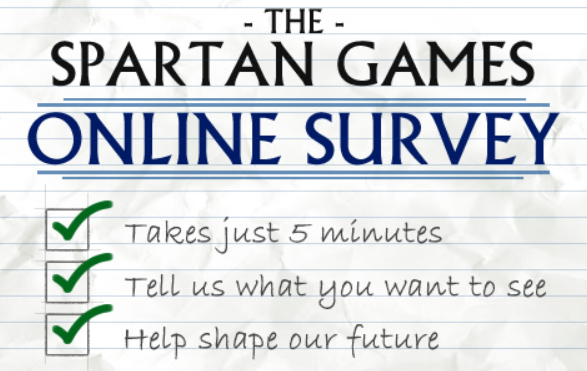 So they're running their Spartan Games Survey 2015. Let them know what you like about their games... and maybe a bit about what you don't like, too. You'd better hurry, though, since it only lasts until the 17th. But that's not the only thing Spartan has going on that lasts until the 17th. 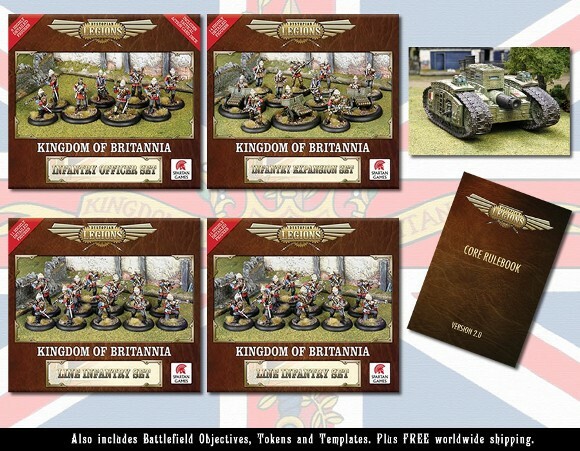 Spartan Games gets you some minis for cheaper than usual with their Aerial Battle Groups and Individual Models sales over in their webshop. Until the 15th, you can get 10% off your order by using the code "MODELS10" at checkout. 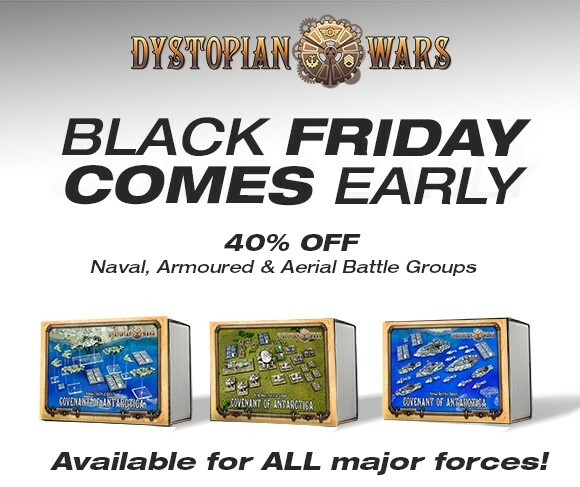 The sale applies to Aerial Battle Groups for Dystopian Wars and individual models for Dystopian Wars and Firestorm Armada. Now's a great time to add to your fleets. 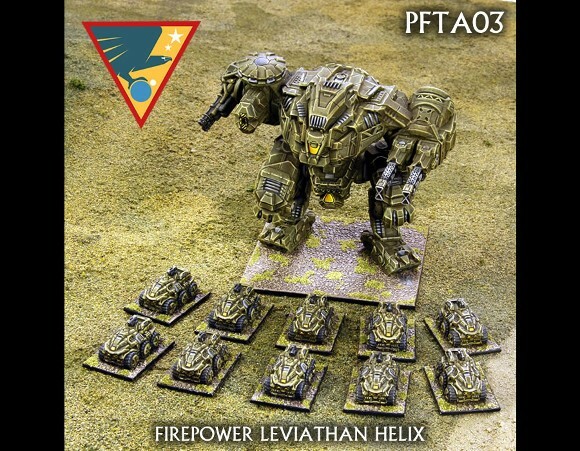 Spartan Games added a whole slew of new pre-orders available up on their website. They have various Dystopian Wars sets, including one with a steam-mechanical alligator (which is pretty awesome if you ask me). There's various bomber sets coming for Dystopian Legions. There's also a trio of Planetfall kits, including a gigantic 6-legged sort of space-rhino thing with a whole command center on its back. There's 18 of them (new releases, that is), total, to check out. Spartan Games has a bunch of special deals they're running now over on their website. 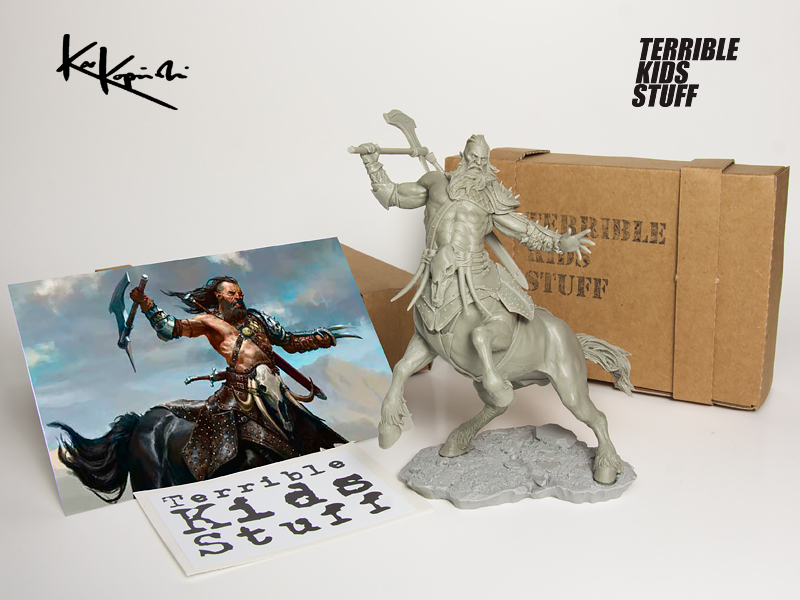 Want to get a free rulebook? Or perhaps a free blister of minis? Or perhaps a great deal on two starter boxes? Mosey on over and see what's in store. But you only have until the end of the month to partake in these deals before they're gone. 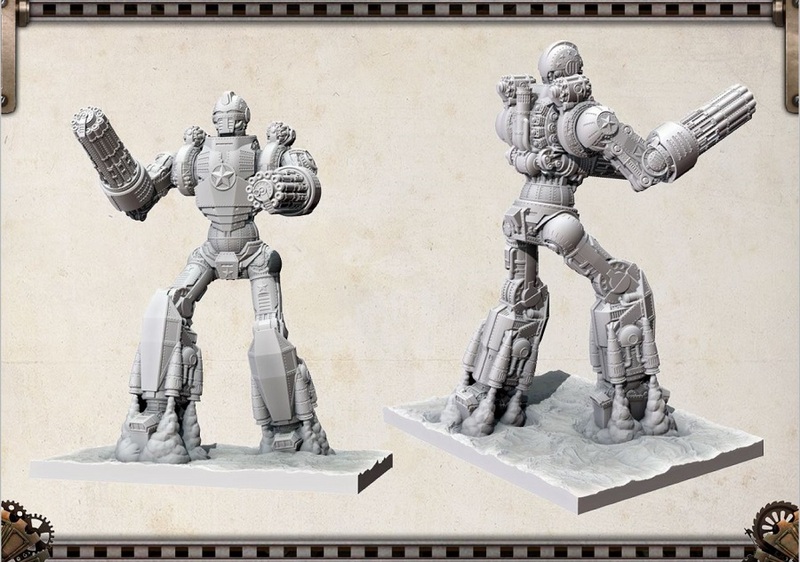 Spartan Games is showing off and taking pre-orders for their batch of minis they'll be releasing on March 25th. 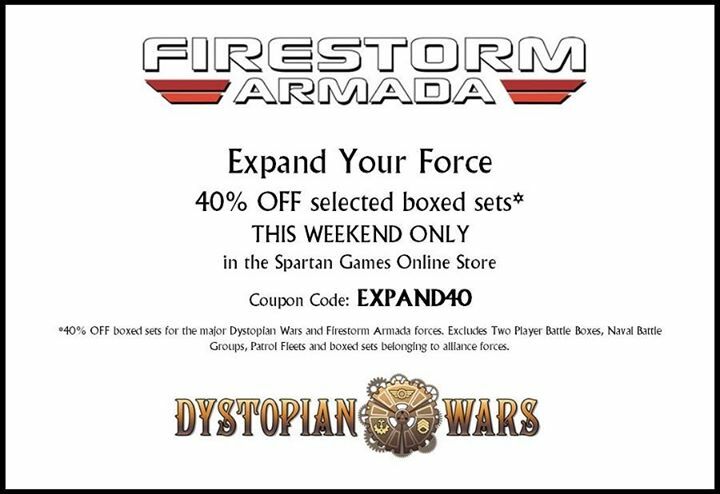 There's a little something for everyone, whether you play Dystopian Legions, Firestorm Armada, Dystopian Wars, or Firestorm Planetfall. There's a lot of photos just beyond the cut to ogle. I'm a fan of the giant robots, myself. 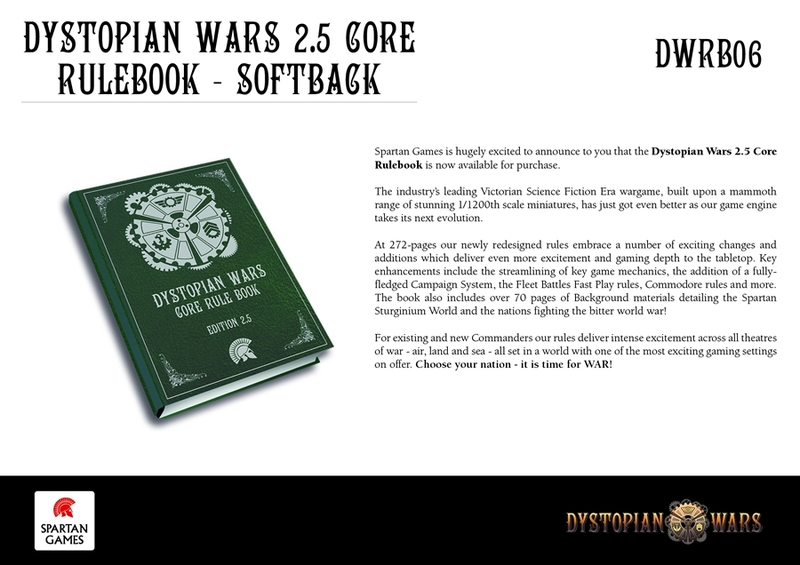 Spartan Games has posted the version 2.0 Dystopian Wars rulebook up online. You can go grab it for yourself for free from the Spartan website. Being free, why not take a look?